Combining the unmistakable taste of the Sour Diesel, via a Grape Ape original clone, and OG Kush courtesy of Apothecary Seeds, Greenhouse Seeds Kings Kush offers heavy yields, fast flowering times and has one of the highest levels of THC in the Greenhouse Seeds Company collection. 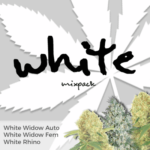 Read our review and watch the official Greenhouse Seeds Kings Kush video. 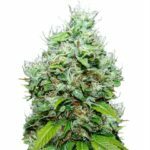 If you’re looking for a fast yielding Cannabis plant, with dense hard buds with that OG Kush taste and flavor, Greenhouse Seeds Kings Kush comes highly recommended. Created by the ‘King of Cannabis’ Arjan and the Greenhouse Seeds Company, Kings Kush is one of the latest releases featuring the legendary Chemdawg genetics. Greenhouse Seeds Kings Kush contains a unique combination of OG Kush and Grape Ape genetics, both of which are highly sought after in many of the Medical Marijuana Dispensaries throughout the USA. With both parents displaying dominant Indica Cannabis genetics, it’s hardly a surprise to learn that Kings Kush displays similar characteristics, remaining short and squat in growth, while stretching during the first half of flowering. The branching structure is close together with minimal inter-nodal spacing, providing strong side branches, perfect for a Screen-Of-Green system or indoor growing room. As maturity approaches Greenhouse Seeds Kings Kush displays purple coloring, regardless of the temperature. Complete maturity CAN BE ACHIEVED IN 49 DAYS! ….FACT. Many of the reviews will say that Greenhouse Seeds Kings Kush requires 9 weeks to fully mature. Many of the reviews you can read are also exactly the same, taken from 1 source then endlessly copied without thought for the facts. 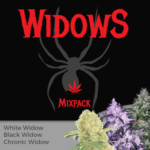 Here at USA Cannabis Seeds we will not just blindly re-hash old data, we scan the forums, comments, grow reports and videos to try to bring you the very best information on Cannabis Seeds that we are happy to recommend. 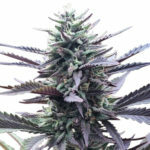 It is possible for Greenhouse Seeds Kings Kush to require 9 weeks to completely mature, however, using the right techniques, and by understanding the needs of the plants, it is relatively easy to achieve the same weight in high quality Cannabis buds in only 7 weeks, and that’s not just a claim, that’s the words from the ‘King of Cannabis’ himself. The Greenhouse Seeds Kings Kush Grow. As you can see, Greenhouse Seeds Kings Kush is an exceptional Cannabis plant, producing over 4 oz of completely dried and 4 months matured Cannabis. For normal commercial sale, and the Dispensaries, weed is never dried and cured for such a length of time. For a future High Times Cannabis Cup winner, that’s different. Many American growers expect to lose between half to two-thirds of the ‘wet-weight’ that being the case, with a wet yield of , many growers are seeing bumper harvests of up to 800 grams per square meter. 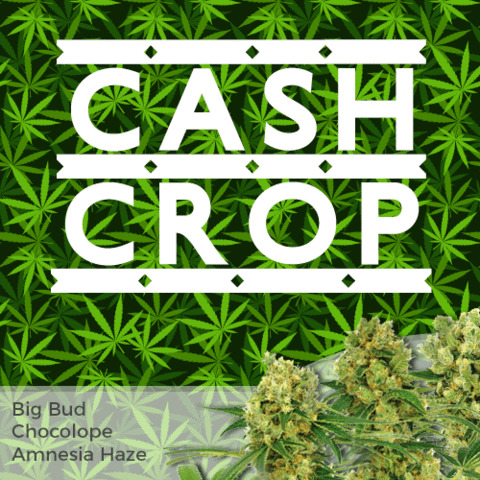 If you are looking for a serious cash-crop, but don’t want to get caught out with some low yielding, poor quality seeds, trust Greenhouse Seeds Kings Kush to produce the best plants for your garden. 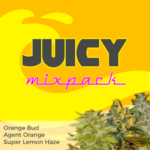 You can buy Greenhouse Seeds Kings Kush online safely and securely from the Original Sensible Seeds Company, one of the longest established providers of genuine Cannabis seeds online. Formed in 1992, and with a long history of supplying the very best quality seeds from the most respected seed banks and breeders, the Original Sensible Seeds Company now offers discreet shipping for your USA Cannabis Seeds.